Democrats moved quickly after the freshman lawmaker suggested support for Israel stemmed from campaign donations. Senior House Democrats moved swiftly Monday to denounce controversial comments about Israel by Rep. Ilhan Omar, as party leaders faced growing pressure to respond to accusations that one of its members is anti-Semitic. The Minnesota Democrat, one of the first two Muslim women elected to Congress, suggested in a tweet Sunday night that Republican support for Israel is fueled by campaign donations from pro-Israel groups like the American Israel Public Affairs Committee. Democratic leaders have yet to weigh in, but more than half a dozen Democrats, including high-profile chairmen, criticized Omar in a rare rebuke of a colleague. House Judiciary Chairman Jerry Nadler (D-N.Y.) issued a separate statement calling Omar’s remarks “deeply hurtful and offensive,” particularly after several other controversial comments she made about Israel has come to light in recent weeks. “It is deeply disappointing and disturbing to hear Representative Ilhan Omar’s (MN) choice of words in her exchange with a journalist yesterday, wherein she appears to traffic in old anti-Semitic tropes about Jews and money,” Nadler said. Meanwhile, House Minority Leader Kevin McCarthy (R-Calif.) vowed to take disciplinary action against Omar “this week”. One option under consideration, according to his office, is forcing a vote on a resolution from Rep. Lee Zeldin (R-N.Y.) condemning anti-Semitism. The statements from top Democrats and Republicans follow an effort by a pair of rank-and-file members earlier Monday to garner support for a letter demanding leadership condemn Omar’s latest statements. Democratic Reps. Josh Gottheimer (N.J.) and Elaine Luria (Va.), who are both Jewish, planned to send to Democratic leaders a letter expressing deep concern over “recent rhetoric from certain members within our Caucus, including just last night, that has disparaged us and called into question our loyalty to our nation.” The letter, which was obtained by POLITICO, is being circulated to Jewish Democrats. Omar and Rashida Tlaib (D-Mich.) have been repeatedly slammed by the GOP for their critical views of Israel and support for the Boycott, Divestment and Sanctions movement, which targets Israel’s treatment of Palestinians. 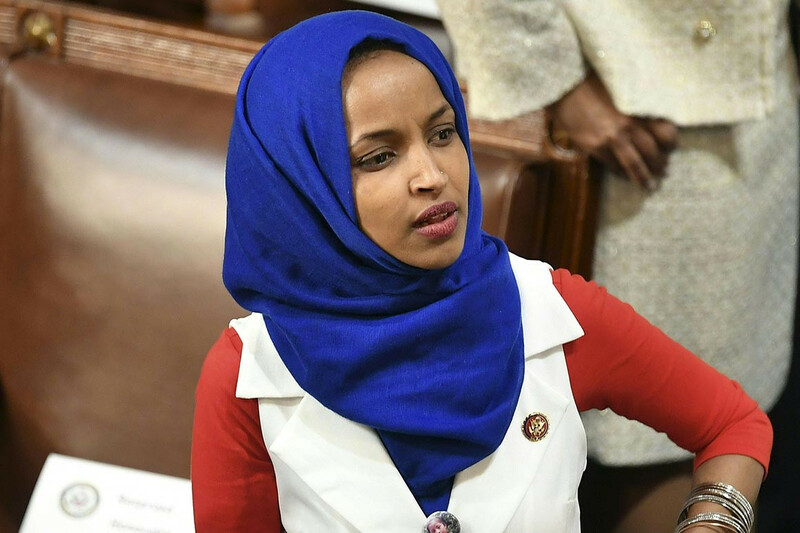 But Omar’s latest tweet earned rebukes from members of her own party, including freshman Reps. Max Rose and Anthony Brindisi, both of New York. House Minority Whip Steve Scalise (R-La.) and House Republican Conference Chair Liz Cheney of Wyoming also called for Omar to lose her seat on the Foreign Affairs Committee. Republicans are accusing Democrats of hypocrisy, because they were quick to punish Rep. Steve King (R-Iowa) last month after he defended white nationalism and white supremacy, which McCarthy said recently were equivalent, or even “more so,” to the rhetoric of Omar and Tlaib. The full House condemned King on the House floor, while the GOP stripped King of his committee assignments.